You have a fancy Genie or LiftMaster garage door opener and you think that nothing could ever go wrong with it. Even though these devices are made to be strong and durable, they can still give you a bit of a headache every now and then. It is always best to be prepared. You should learn what can go wrong with your device and what you will be able to do to resolve the problem. What's Wrong with the Opener? When you press the button on the garage motor remote, but the opener does not start working, you should not panic. Check to confirm that the remote is working fine and that it does not require battery replacement. Often, the issue is with the clicker rather than with the main unit. If the unit stops working all of a sudden after it has been operating for some time, it may have gotten overheated. In this case, you simply need to shut it off and let it cool down for fifteen minutes or so. When you turn it back on, it should work properly. When the remote is fine and the opener has not overheated, but it still does not work, the issue may be with the mechanical parts. Typically, the electric operators have very strong and durable motors so it is unlikely for an issue with the motor to occur. Most probably, a moving gear has been broken. These parts are made from plastic so they are not always as durable as we would like them to be. The good news is that they are among the garage door parts which are the easiest to replace. There are some less common issues which can occur as well. 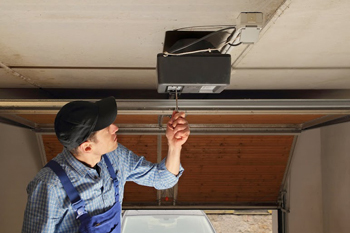 You may require considerable garage door opener repair if the circuit board has got damaged. 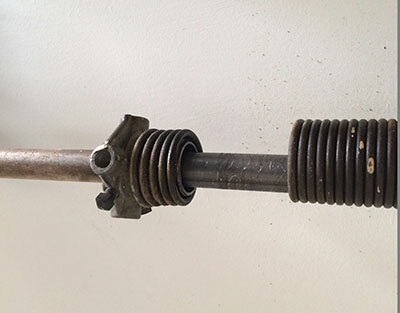 Similarly, a damaged or broken chain, screw or cable will have to be replaced.